(28 March 2019 – Hong Kong) Following the successful collaboration since 2016 in bringing incredible value-for-money OTT content packages to residential customers of HKBN Group (“HKBN”), Television Broadcasts Limited (“TVB”) and HKBN jointly announced today they will expand their strategic partnership to the enterprise market. Business customers of both companies will be eligible to receive coupons worth up to 50% of their total contract sum for spending on advertising/Digital Marketing solutions or telecommunication services. These mind-blowing deals give HKBN Enterprise Solutions customers an unbelievable opportunity to promote and grow their business by leveraging TVB’s massively popular advertising solutions of myTV SUPER or Digital Marketing Plan of Big Big Channel. Meanwhile, customers of myTV SUPER’s advertising solutions or Big Big Channel’s Digital Marketing Plan can also take advantage of the astonishing discounts to enjoy an array of premier telecommunications solutions provided by HKBN Enterprise Solutions. Starting 1 April 2019, business customers subscribed to designated HKBN enterprise solutions services such as broadband, mobile services, voice, cloud solutions, data connectivity, data facility and system integration will be given a coupon worth up to 50% of their total service contract1. The coupon can be used to pay for advertising fees on Ad Booking MANAGER of myTV SUPER or the Digital Marketing Plan of Big Big Channel1. Meanwhile, business customers who have placed advertisements on myTV SUPER or have chosen the Digital Marketing Plan of Big Big Channel will be given a coupon worth up to 50% of their contract spend2. With the coupon, business customers can settle the subscription fee of their newly-added designated HKBN enterprise solutions services2. myTV SUPER, the largest OTT platform in Hong Kong with over 7.3 million registered users as of 3 Mar 2019 and over 20 million viewing hours per week3, has the widest audience profile which allows the advertisers to effectively reach their target audience. myTV SUPER has launched the user-friendly AD Booking MANAGER Platform for businesses of all sizes to meet the ever-changing advertising and sales needs by placing advertisement within a few minutes without assistance of advertising agencies. The advertising fee is as low as $1,000. Even with limited budget, advertisers are capable of targeting their audience by gender and location segments and thus reducing advertising wastage. Big Big Channel provides one-stop digital marketing solutions to enterprises. From short video ideation and production to delivering contents to Big Big Channel app users as well as over 12.2 million followers4 on TVB social media accounts. Big Big Channel also provides one-stop marketing production service, including events management, venue setup, stage design, video recording, as well as arranging master of ceremonies and artistes, to help companies plan their marketing activities and events. The press conference was also attended by HKBN Co-Owner and Chief Operating Officer – Enterprise Solutions Billy Yeung, TVB Deputy General Manager (Programme & Production) Felix To, Assistant General Manager (Non Drama) Sandy Yu, MyTV Super Limited Chief Operating Officer Lam Kwai Hing, Chief Commercial Officer Benjamin Li. For more information about receiving the myTV SUPER or Big Big Channel coupons, please contact HKBN Enterprise Solutions at 128 1111 or visit https://www.hkbnes.net/en/mytvsuperad. For more about receiving HKBN Enterprise Solutions coupons, please contact myTV SUPER (Tel: +852 2805 6768; email: booking@tvb.com) or Big Big Channel (Tel: +852 2335 7281; email: misschan@bigbigchannel.com.hk). Terms and conditions apply. Coupon entitlement period is between 1 Apr and 31 Aug 2019. Please visit https://www.hkbnes.net/en/mytvsuperad for details. Note 3: Source: myTV SUPER Ratings: Nielsen SiteCensus. Note 4: As of 31 Dec 2018. Television Broadcasts Limited (“TVB”), which commenced broadcasting in 1967, is the first wireless commercial television station in Hong Kong. 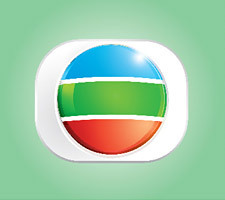 It provides quality news and infotainment programmes to viewers of Hong Kong via its five free-to-air TV channels. Its major activities are television broadcasting, programme production, programme licensing and distribution, digital media business and movie investment; TVB is one of the few broadcasters in the world that operates a vertically integrated business model supplemented by a strong artiste pool. TVB has about 4,000 staff worldwide. Its terrestrial TV channels enjoy over 80% audience share in Hong Kong during weekday prime time. It has a market share of near to 90% in the local TV advertising market. In recent years, TVB has strived to expand its digital media business and has successfully transformed to a company amalgamating broadcast TV, online TV, social media platform and e-commerce service. As of March 2019, OTT platform myTV SUPER has succeeded in garnering over 7.3 million users; TVB Anywhere is expanding rapidly overseas, covering over 200 countries and regions. Big Big Channel, the social media platform with self-produced short video content has attracted over 12.2 million followers. Leveraging its TV and OTT platforms and talent resources, it has extended its services to include content marketing, events management and e-commerce service Big Big Shop. HKBN Group (“HKBN” or “The Group”) is Hong Kong’s second largest provider of residential high-speed fibre broadband service and a fast growing enterprise solutions provider. The Group offers a wide range of telecommunications solutions for both the residential and enterprise markets, including broadband and managed Wi-Fi services, voice communication, mobile services, OTT entertainment, data centre services, integrated cloud services, data connectivity and system integration. HKBN owns an extensive fibre network in Hong Kong, which covers over 2.3 million residential homes passed and 2,400 commercial buildings. HKBN embraces “Make our Hong Kong a Better Place to Live” as its Core Purpose, and takes great pride in developing its Talents into a competitive advantage. The Group is managed by Co-Owners (supervisory-and-above-level Talents in the Group) who have invested their own savings to buy the shares of HKBN Ltd (SEHK Stock Code: 1310). HKBN Group is part of HKBN Ltd. The share price information is delayed and is for reference only.